This new prestigious Kellyville real estate development is located in the heart of the Hills District in Barry Road, Kellyville. Real estate in Kellyville is highly sought after. 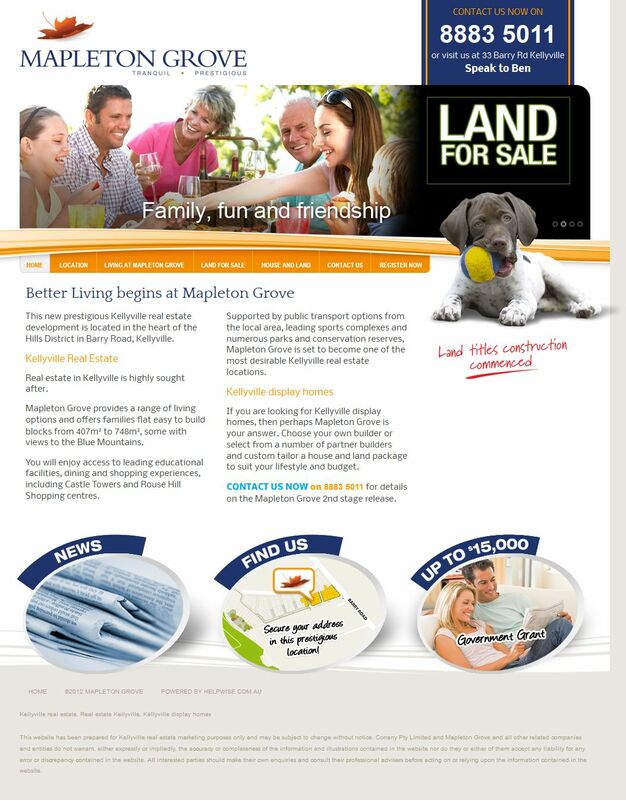 Mapleton Grove provides a range of living options and offers families flat easy to build blocks from 407m2 to 748m2, some with views to the Blue Mountains.